Tom Brady (center) posed with two workers at Brookline Town Hall. 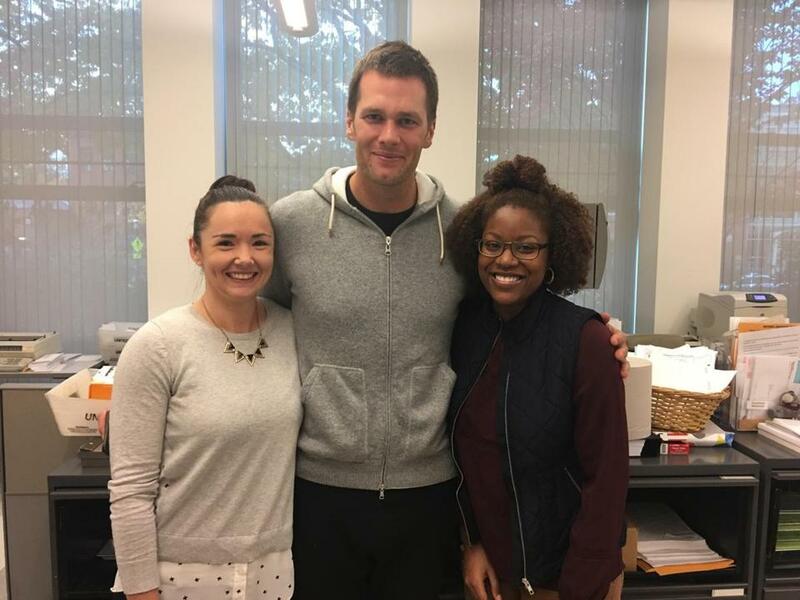 New England Patriots quarterback Tom Brady appeared Monday at the town clerk’s office in Brookline to fill out an absentee ballot, a vote that Republican presidential candidate Donald J. Trump said was cast for him. Brady completed his ballot about 8 a.m. at Town Hall, roughly two hours after he appeared on the “Kirk & Callahan” radio show and told the WEEI-FM audience that he planned to vote, but without saying who he was supporting in the presidential election. Brookline officials said Tuesday that Brady not only voted, but also posed for photographs with staff at Town Hall. Under state law, officials can confirm whether a person voted in an election, but cannot disclose how the person voted. While Trump has repeatedly claimed to have the star athlete's backing during the campaign, Brady has kept silent about his choice, even walking away from reporters last month when asked for his views on the election. About 12 hours after Brady voted, Trump took the stage in New Hampshire and said he had received a telephone call from him. 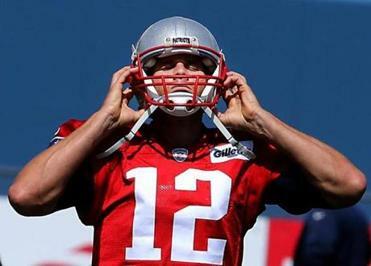 Many are not happy that Donald Trump said he received the Patriots quarterback’s endorsement. According to the Hingham Town Clerk’s office, Belichick did not vote early and did not fill out an absentee ballot. Belichick lives in the town’s 5th precinct. and the polling place is at the Hingham Middle School, according to town records.